Golf rounds at Royal Colombo Golf Course, Victoria Golf Club and Shangri-La’s Hambantota. 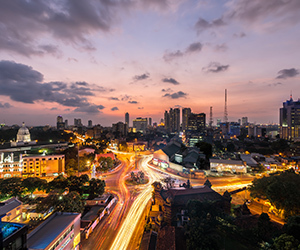 On arrival, you will be met by a George Steuart chauffeur guide and transferred to Colombo. 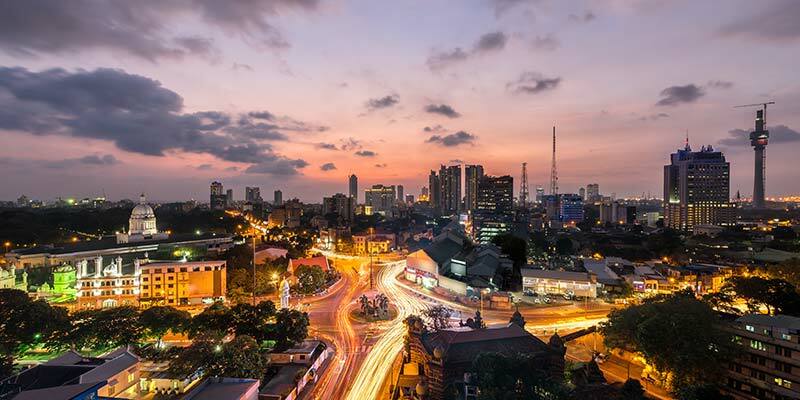 In the evening, enjoy a city tour of Colombo including the visits to the Commercial, Residential and Bazaar areas. Enjoy breakfast at the hotel and proceed to play a round of Golf at Royal Golf Club, Colombo. 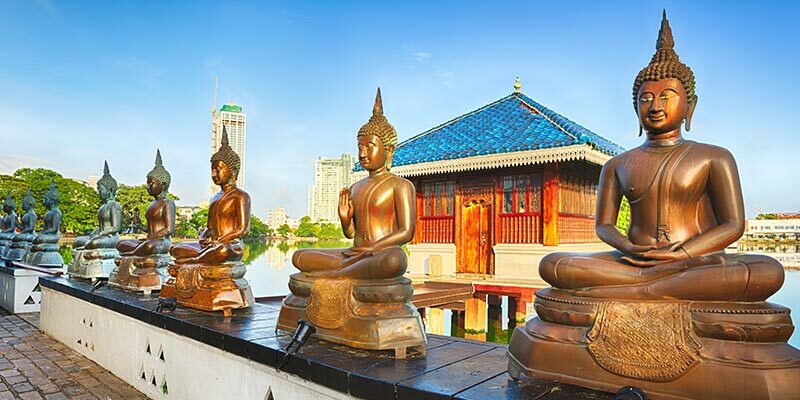 Royal Colombo Golf Course: Surrounded by the suburbs and commercial buildings, the Royal Colombo Golf Club is a reserve located in the heart of Colombo, Sri Lanka. In divergence to its backdrop, it is a delicate and serene environment to ease off. This countryside environment is set within a 96-acre land. 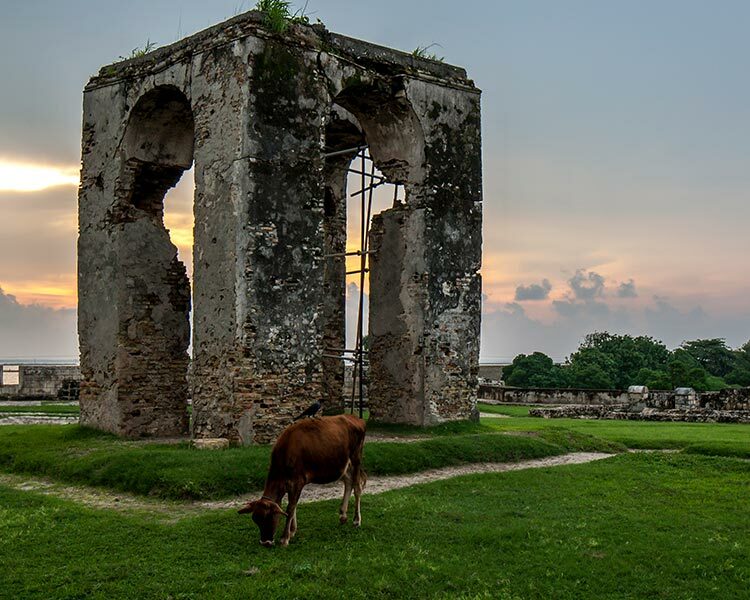 Founded over 130 years ago The Royal Golf Club, Colombo is the second oldest outside of the United Kingdom. A walk through the Club House will take you down the elegant history of this Golf Course. Spend your afternoon at leisure and proceed to play another round of golf in the evening. Enjoy dinner and return to your accommodation. Leave for Kandy after breakfast with a visit to the Pinnawela Elephant Orphanage en-route. 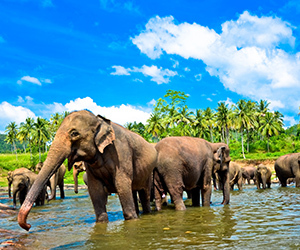 Pinnawela Elephant Orphanage: Situated near Kegalle on the Colombo Kandy road is the Pinnawela Elephant orphanage, a riverside sanctuary which cares for elephants displaced from wild habitats. The Pinnawela Elephant Orphanage, which was established in 1975, began with seven orphans. Today some of these orphans enjoy the fortune of seeing their grandchildren born in the same setting. The original objective of founding the orphanage inclined more towards tourism, but is soon became a protection and educational centre. With the help of local and foreign elephant experts, Pinnawela started a scientific captive-breeding programme for elephants. The orphanage is home to hundreds of abandoned or injured elephants who are looked after with warmth, love and affection. The elephants at the orphanage are bathed regularly in a river located nearby. Upon your arrival in Kandy, check in to the hotel and relax. 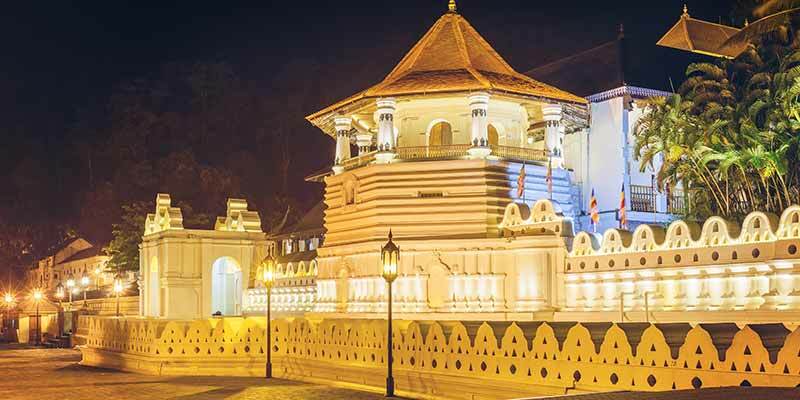 As the last stronghold of the Sri Lankan kings, Kandy still retains its aura of grandeur which has been unaffected by time. In the evening, unwind with a round of golf at the Victoria Golf Club. 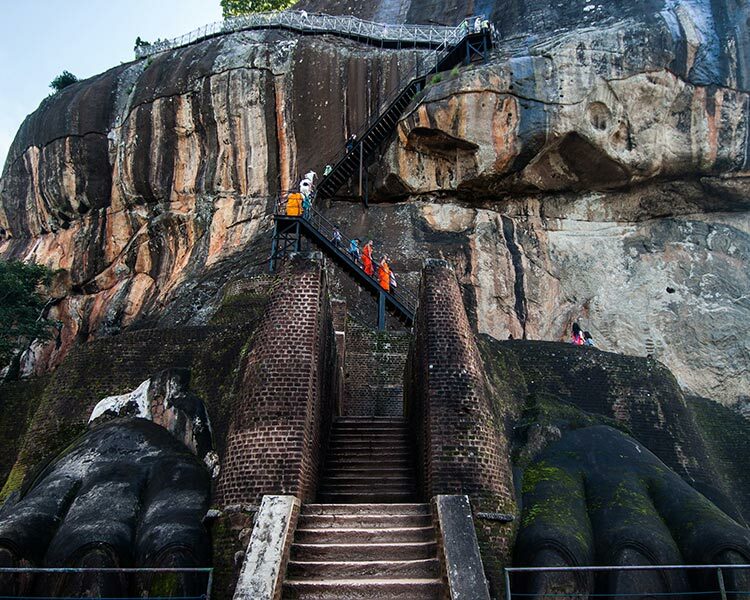 Kandy: This beautiful city is the Hill Capital of Sri Lanka and was the last stronghold of the Sinhala Monarchs. It still retains an aura of splendor which has been unaffected by time. 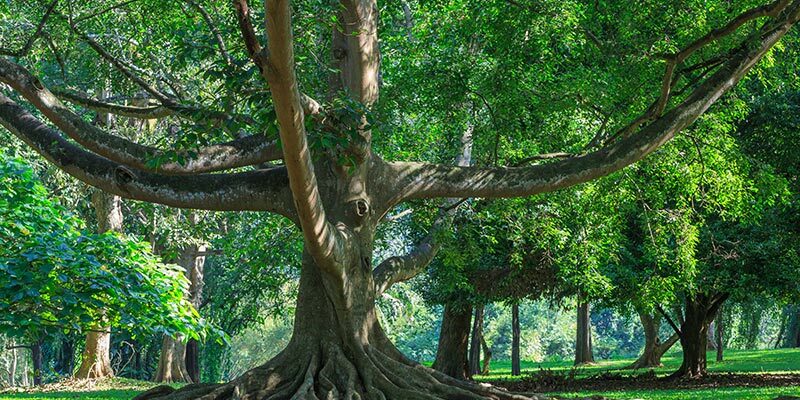 Encircled by hills, with a tranquil lake in its center, it is the site of the renowned “Temple of the Tooth” and the Royal Botanical Gardens - home to one of Asia’s best Orchid collections. 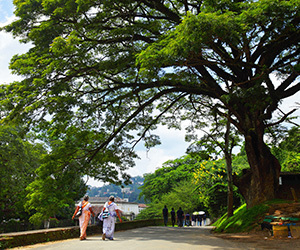 Kandy and its satellite villages are the center of the island’s handiwork trade and its traditional dances are the most lively and spectacular in the country. 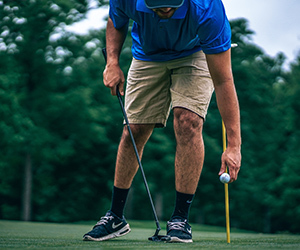 Victoria Golf Club: Hidden away from the whirlwind of city life, Victoria Golf and Country Resort are the perfect destination to unwind, kick back and enjoy a game of golf. Graded among the “100 Most Beautiful Golf Courses in the World”, Victoria is home to a world class golf course, designed by the award-winning Donald Steele & Co in 1997. Afterwards, return to the hotel. Start the day with an early morning golf round after breakfast. 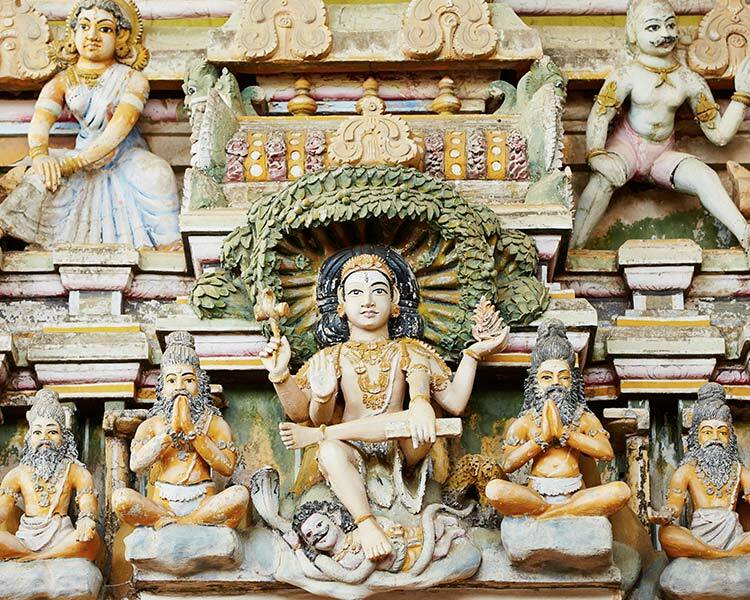 Spend the afternoon sightseeing in Kandy visiting an Arts & Crafts workshop, Oriental Market Place, Bazaar and a Gem Lapidary. End the day with another round of golf and return to your accommodation. Proceed to Nuwara Eliya after breakfast. 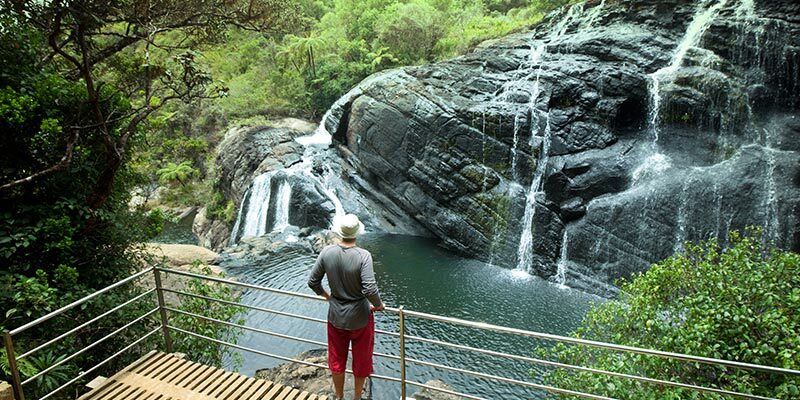 Also stop by Ramboda Falls for a breath-taking view and visit a tea plantation and a factory to witness the processing of the raw green leaf to the final graded product. 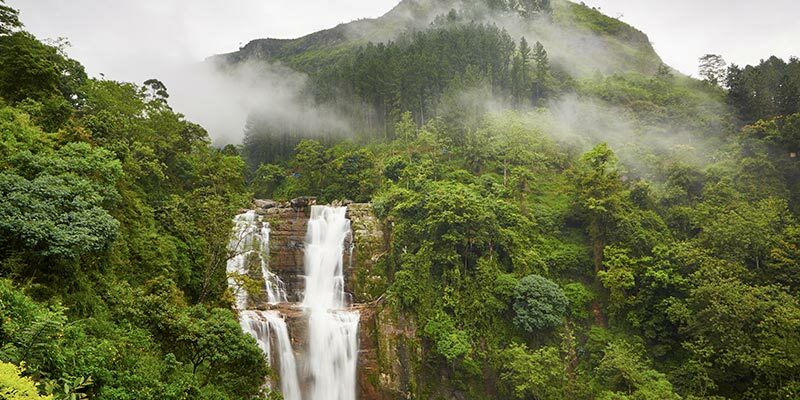 Upon arrival in Nuwara Eliya, enjoy a city tour in Sri Lanka’s very own ‘Little England’. 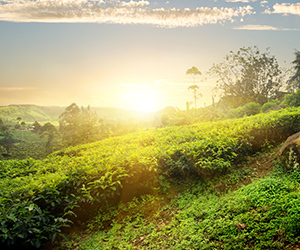 Nuwara Eliya: Sri Lanka's leading hill resort with a fine bracing mountain climate, Nuwara Eliya is also the core of Sri Lanka's tea country, producing some of the world’s best tea. The mountain slopes and valleys are a carpet of velvety green tea plantations, interspersed with gushing streams and tumbling waterfalls. 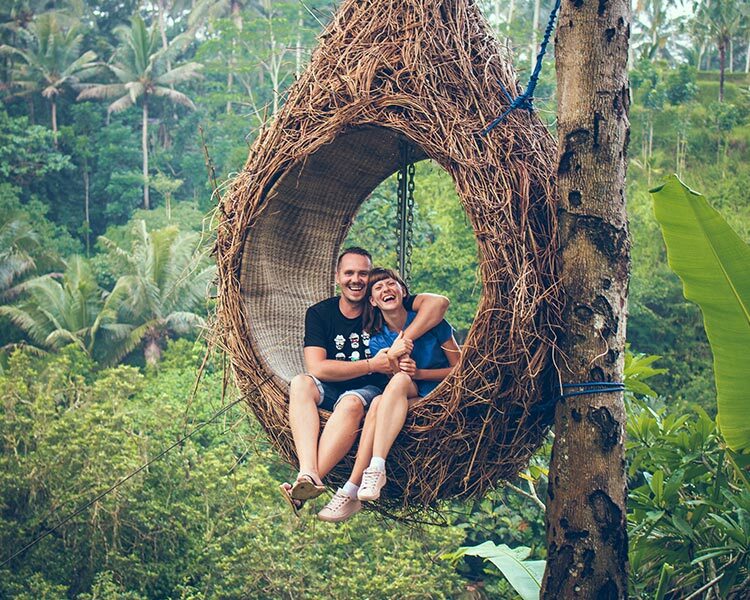 Red or green roofed plantation bungalows, English country style homes and hotels with lovely flower gardens, a fine 18-hole golf course and a racecourse gives Nuwara Eliya a definitely British character. End the day with another round of golf at the Nuwara Eliya Golf Club and return to your accommodation. Nuwara Eliya Golf Club: The Nuwara Eliya Golf Club, initiated in 1889, is one of the oldest golf clubs in Asia and probably the world. It is an institution, rich in tradition, history and carries an ambience unparalleled in this country. Founded, primarily for their rest and recreation, by the British planters who opened up the land for tea in the Nuwara Eliya district, to this day it caters to some of the customs and traditions of the country’s colonial past. The 18-hole course, 6075 yards long, is a testing par 71 and is made up of long, narrow fairways, bordered by rows of towering eucalyptus trees and elegant cypresses, held together by dense acacia shrubbery. The service at the club is designed to care for the family whilst the serious players compete out on the park. After breakfast transfer to Shangri-La’s Hambantota Golf Resort and Spa for an exclusive stay. 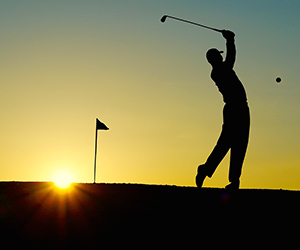 Spend the evening playing a round of Golf in the 18-hole Golf Course at the hotel. 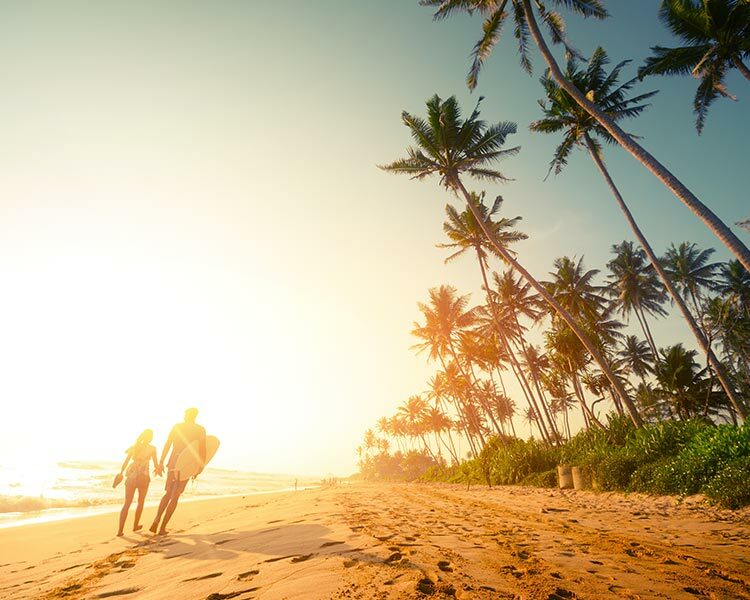 Shangri – La’s Golf Course: Sri Lanka's premier 18-hole* golf course is set amid a vast coconut palm plantation within the resort, offering spectacular views and distinctive challenges for both casual and seasoned players. The stunningly landscaped par-70 course takes you on a memorable golf experience through three landscaped zones, each with its own unique character. 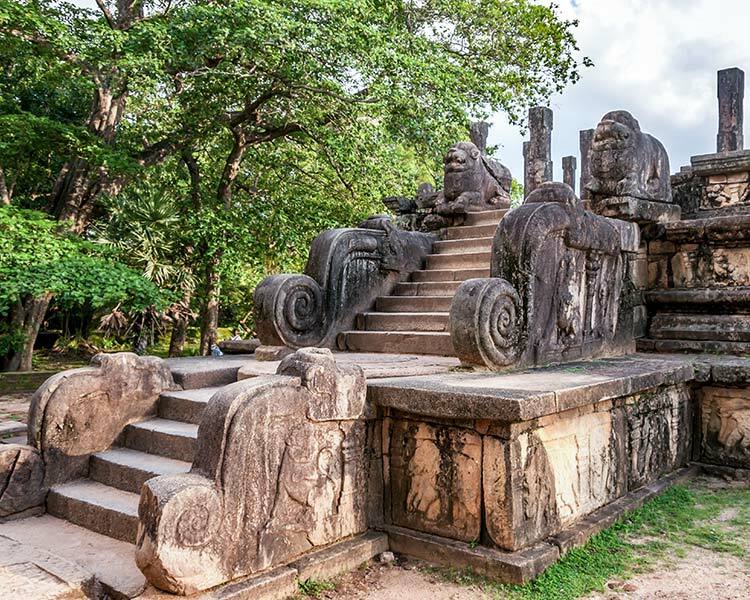 Obtain packed breakfast from the hotel and proceed on a half day jeep safari at the Yala National Park. 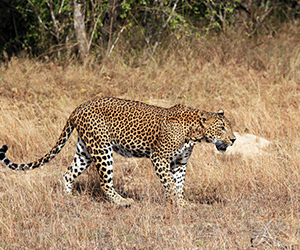 Yala National Park: Also known as Ruhuna, is a vital national park on the south east coast of Sri Lanka. The reserve covers 979 km², though only the original 141 km² are open to the public. Much of the reserve is parkland, but it also covers jungle, beaches, freshwater lakes and rivers and scrubland. 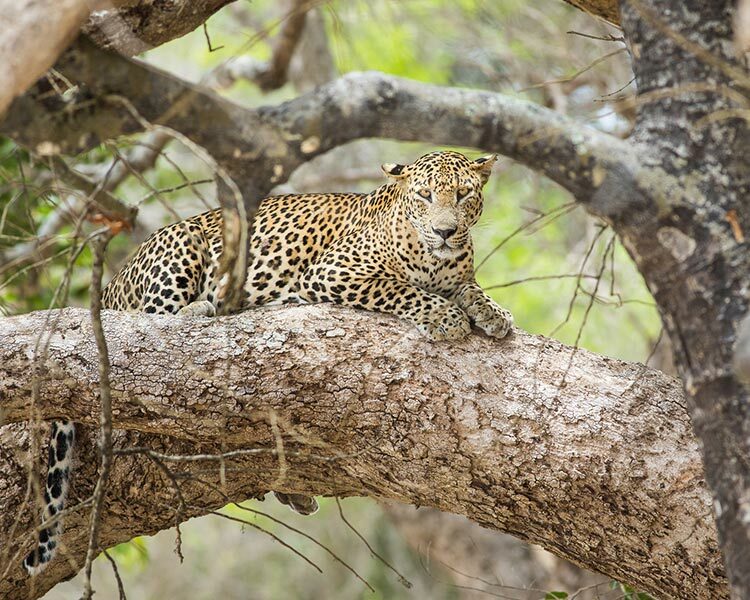 Yala has the world's highest concentration of Leopards, although seeing this largely nocturnal carnivore still requires some luck. There are good records of Asian Elephants, crocodile, Wild Boar, Water Buffalo and Grey langurs amongst other large animals. The open parkland attracts birds of prey such as White-bellied Sea Eagle and the wetlands have waders, Painted Storks, and the rare Black-necked Stork. Land birds of course are in abundance, and include Sirkeer Malkoha, Indian Peafowl and Sri Lanka Junglefowl. 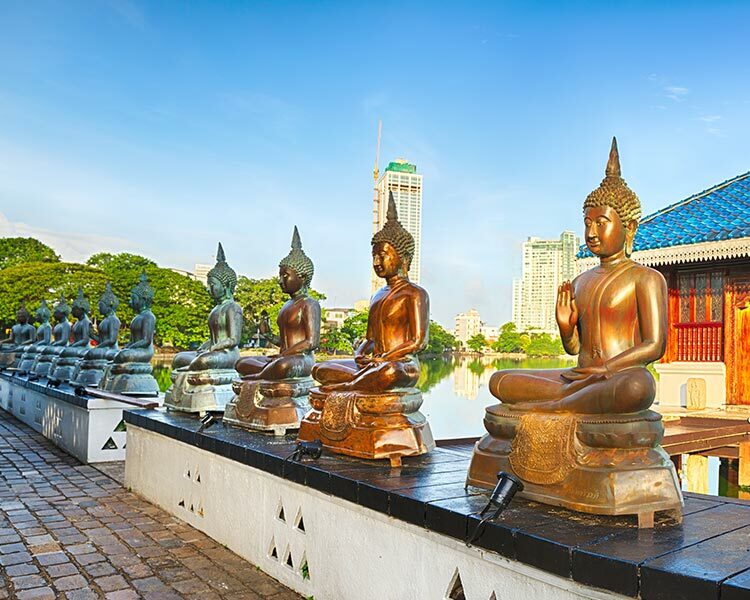 Enjoy breakfast and transfer to the Bandaranaike International Airport on time for your departure flight.